With a step-by-step approach to solving partial differential equations (PDEs), Differential Equation Analysis in Biomedical Science and Engineering: Partial Differential Equation Applications with R successfully applies computational techniques for solving real-world PDE problems that are found in a variety of fields, including chemistry, physics, biology, and physiology. The book provides readers with the necessary knowledge to reproduce and extend the computed numerical solutions and is a valuable resource for dealing with a broad class of linear and nonlinear partial differential equations. 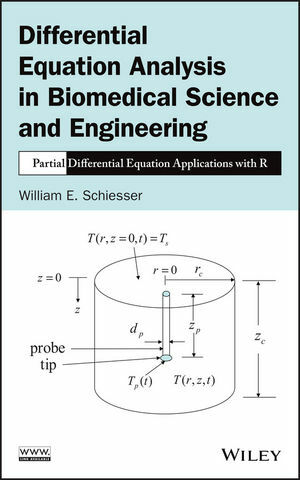 Differential Equation Analysis in Biomedical Science and Engineering: Partial Differential Equation Applications with R is an excellent reference for researchers, scientists, clinicians, medical researchers, engineers, statisticians, epidemiologists, and pharmacokineticists who are interested in both clinical applications and interpretation of experimental data with mathematical models in order to efficiently solve the associated differential equations. The book is also useful as a textbook for graduate-level courses in mathematics, biomedical science and engineering, biology, biophysics, biochemistry, medicine, and engineering. WILLIAM E. SCHIESSER, PHD, ScD (hon.) is Emeritus McCann Professor of Engineering and Professor of Mathematics at Lehigh University. 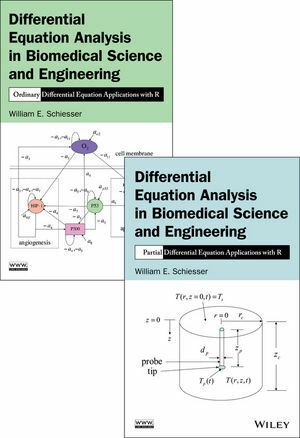 The author or coauthor of thirteen books, Dr. Schiesser’s research interests include numerical software; ordinary, differential algebraic, and partial differential equations; and computational mathematics.